I met my dog, Haley, at a friend’s house. Haley was a rescue and had been abused. She was (and is) a lovely white dog with brown eyes. She looks like a miniature Samoyed. Haley is a Japanese Spitz. I had promised my husband we could adopt a dog, being childless, so we adopted Haley. There was a breaking in period where she misbehaved, but now she’s a very well behaved dog. Since I’ve had Haley, I’ve been through a divorce, lost my ex-husband, father, and mother. Haley’s been with me through it all. She’s a kind, loving dog. Haley loves her walks and she loves to cuddle. She is the ideal dog for me. She sounds like a true best friend! What would you name your boat if you had one? Since I never had a daughter to name, I would name my boat Gillian. When I was going to school in Northern Ireland at Methodist College, Belfast, I knew a girl named Gillian. I have always liked that name. That’s a lovely name! What do you think is the closest thing to real magic? The closest thing to real magic is better than magic. It’s a miracle. 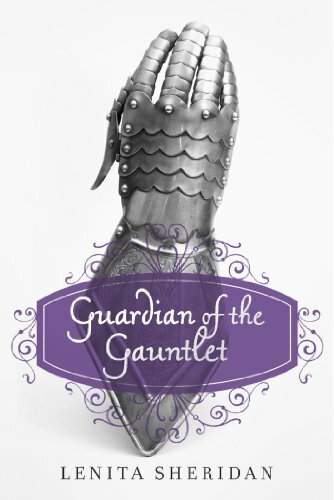 The main character of my trilogy, the princess Camari, does miracles with the gauntlet. She is able to heal people with it, conquer monsters, and on a smaller scale, create food, much like Jesus healed the sick and multiplied the loaves and fishes so all could eat. I’d like to read that! Now for one of my favorite questions: do you believe in love at first sight? I do not believe in love at first sight. I believe that in order to know if you are in love with the person or not you need to have kissed that person. Therefore, I believe in love at first kiss. I love that answer! Are you high maintenance or low maintenance? I’m low maintenance. I can live in a shoestring budget and am used to being poor. Sure, I like to eat out, but when I do, I order the lower priced items on the menu. I take advantage of lunch specials. When it comes to any type of shopping, I take advantage of sales. When using credit cards, I take advantage of cash rewards. Most of my expenditures, besides bills are in food because I need it to live. One doesn’t need new clothes very often. I love to read, but most Kindle books are quite reasonable. Ebooks can be good for someone on a budget! Do you believe in aliens? I don’t believe in them the way I believe in God, but yes, I think aliens could exist. No one, right now, knows for sure if there are aliens, but I think we should continue the search for intelligent life in the universe. I guess as far as aliens go, I’m an agnostic. We’ll just have to see what we come up with as we continue to explore space. There is so much space to explore! Would you rather fly on a dragon or meet a mermaid? First of all, since dragons are rather dangerous, I would rather meet a mermaid. I’ve been to Copenhagen and taken a picture of the statue of The Little Mermaid. I also have started a retelling of the story of The Little Mermaid meant to be in book length format, sort of like Robin McKinley’s Beauty (about Beauty and the Beast). I have read a story length retelling of The Little Mermaid, but it ended happily. Mine will end sadly, in keeping with the original. If I met a mermaid, I would ask her how she liked living in the sea and if she ever desired to become human. Those are some good questions for a mermaid! I’d like to read your story, too! Thank you, Lenita, for answering my quirky questions! Support Lenita on Amazon and social media and join us next Friday for more interviews!